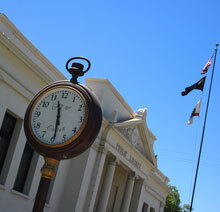 City Council Regular Meeting - 5:00 p.m.
Special Joint Meeting of the City Council for the City of Colton and the Planning Commission - 5:30 p.m.
City Council Special Meeting - 5:30 p.m.
City Council Special Meeting - 5:00 p.m. 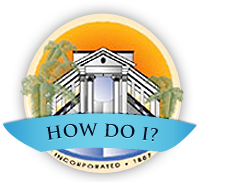 Regular City Council Meeting - 5:00 p.m.
Special Joint Meeting of the City Council for the City of Colton and the Planning Commission - 5:30 p.m. - 7:30 p.m.
Measure D Oversight Committee Meeting - 6:00 p.m. Oversight Board of the Successor Agency to the Redevelopment Agency - June 28, 2018 - 1:30 p.m. Oversight Board of the Successor Agency to the Redevelopment Agency - January 25, 2018 - 1:30 p.m.
Joint Special Meeting Agenda of the Successor Agency and Oversight Board of the Successor Agency to the Redevelopment Agency for the City of Colton - 5:00 p.m.
Colton Utilities Commission meeting, Monday, April 8, 2019, 6:00 p.m.
Colton Utilities Commissiion meeting Monday, March 11, 2019, 6:00 p.m.
Colton Utilities Commission Meeting, Monday, February 11, 2019, 6:00 P.M.
Colton Utilities Commission Meeting; Monday, January 14, 2019, 6:00 P.M.